Very nice good looking comfortable shoes wearing to just about anywhere. They are dress down casual soft sole shoes. Bought these for my 75 year old husband. He looks so cool in them! And he said very comfortable. True to size. Best casual shoe I have worn. Very comfortable. Great looking. I get a lit of compliments on them. These shoes are extremely nice, but do run a little bit narrower than their leather counter parts. Will need some wearing in, but ultimately still a quality product. Might want to order a wide if your on the borderline of medium or wide shoe. Very confortable and i can were at work or goign out. I bought these as an anniversary gift for my fiancé and he LOVES them! They match with everything and they are very comfortable. He already has 4 pairs in different colors! It Runs Oright went you try it; but after 2 Days it will get Wider then normal. Light and comfortable. Great for city walking. Actually the most comfortable shoe I've ever worn in my Life! These new mesh ZeroGrandes are the best shoes I have ever owned. Period. Good looking, super light, cmfortable. I think I now own them in 7 different colors. Never want to wear anything else. I am a big Cole haan fan and bought these and cant stand them to be on my feet. I will return them but something is wrong with the fit of the shoe. Feel like I am walking like a duck...Sorry Cole haan you have been good to me up to this one. 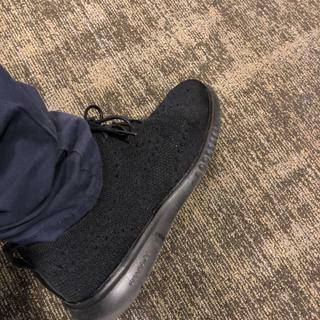 I love Cole Haan’s shoes, I wear a size 15 and Cole Haan keeps me in style with the latest styles and trends at an affordable prices quality shoes. I would definitely recommend the 2. ZEROGRAND the shoes are well made, stylish and comfortable. Not only do I like them my wife and daughter have several pair themselves. We are truly a Cole Haan Family. I was told this is a comfortable shoe for those that spend long hours working on their feet. Looks professional, yet comfortable like a sneaker. I bought this to wear in my dental office. The stitchlite fabric is truly light and breathable. The shoes are extremely comfortable all day, particularly good for travel when a lot of walking through airports etc is involved. I prefer to where sandals because I like cool feet. I'm hoping this product keeps my feet cooler than a typical shoe. I mean they look cool as hell...why not? My husband and I love all Cole Haan shoes. Today is his birthday and he wanted something more casual for work for the summer other than his tennis shoes. The design and comfort of the shoe are 5 star! Light-weight and love the black on black.. The most comfortable shoe ever. Feels like a sneaker and looks like a nice shoe. Can be wore with dress pants. I like the style which can be formal and casual. Of course because it is light in weight. Excellent quality, high style and comfort! Comfortable, light-weight, stylish, and versatile for work or going out. Get a half size smaller for a better fit. I was looking for a more casual looking work shoe with an athletic sole. All black and lightweight were musts. I already have 2 other pairs of these and they are great. Looks Great. Would have bought two but you were out of my size in another color. In 30 years of wearing dress shoes this by far is the most comfortable I have ever owned. I've worn Cole Haan's for many years, the Zerogrand lines is very light and very comfortable. I picked this product because I needed a black stylish comfortable shoe to wear with anything and yet be confident in my dress. Most comfortable shoe I have ever worn. They are lightweight and breathable. Great if you are on your feet for long periods of time. What material stichlite made from? BEST ANSWER: It is a top quality oxford stretch knit. I purchased for my husband. It is light weight and compliments his style. People often comment him on his shoes. He has purchased 5 additional pair since this purchase. I highly recommend Cole Haan shoes. Stitchlite fabric is a knitted material whose composition is exclusive to Cole Haan. Do these shoes run wide? BEST ANSWER: Great for wider feet if needed. It does not run wide, however the material is stretchable to accommodate wide feet. These shoes seemed a bit narrow for me, but they are stretchy and will widen out a bit as they are worn in a bit. No these shoes don’t run wide, they are the regular fit from every Cole Haan shoes. Can these be worn in cold weather? BEST ANSWER: The knitted uppers of this shoe are made from a knitted fabric which is breathable, so it would not hold heat in. Check the details on the product page for more information. Personally I think their better suited for warm temperatures because their well made but light weight shoes. Do carry this show in size 14? BEST ANSWER: Yes this shoe does come in a size 14 and it runs true to size. Are these water resistant in the least? BEST ANSWER: Not at all! Stitchlite fabric is a knitted polyester material exclusive to Cole Haan. Aside from being an opened weave fabric, it is not water-repellant. If you are looking for water-resistant footwear, enter "Mens Waterproof" into the search box at any page of the website.